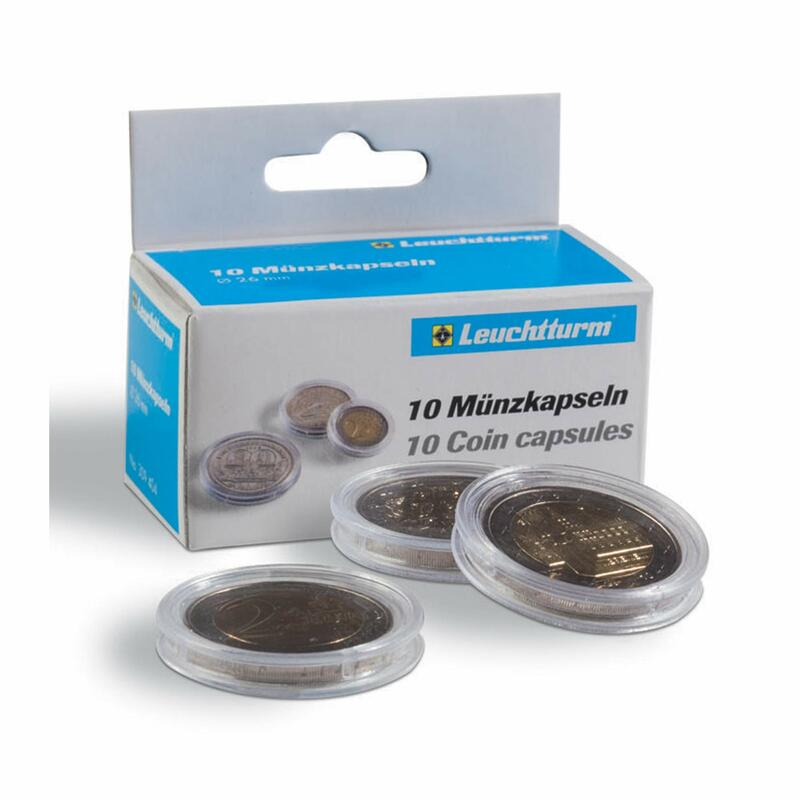 Protect your coins the same way that the Mint does in plastic coin capsules. 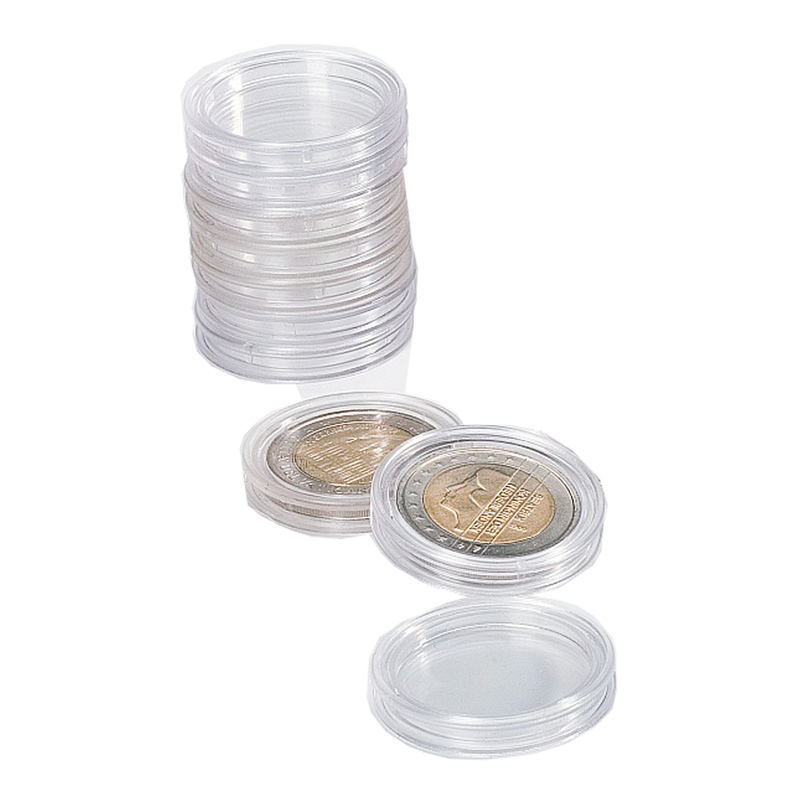 The two pieces of each round capsule fit tightly together to completely protect each coin. Made from extra durable scratch resistant acrylic. Secure locking yet easy to open. Available in packs of 10 - Choose your size from the drop down menu. Can also be stored in individual stackable coin drawer trays (Smoked or Grey) put either CBC or Coin Drawers in the quick search box. To find which coins fit which capsules see User guide tab. Use the following table to identify which capsule you need for your size of coin, and which tray or storage item compartment it will fit. Check the internal diameter to make sure your coin will fit, and the external diameter to make sure the capsule will fit your chosen storage solution.